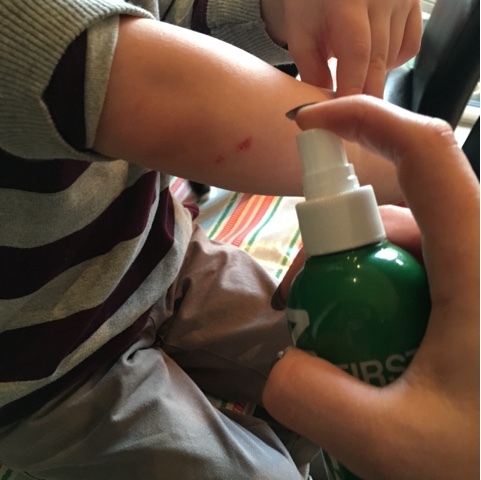 Every now and then we get to review a fantastic British product that makes me wish I'd found it long ago, and this is definitely one of those products, I really wish that I'd known about this product when T was a baby. Like all of my favourite products, this is not tested on animals, which is really important to me personally. So, I figured this would be perfect for a 4 year old who is always getting grazes and scrapes and who has very sensitive skin. 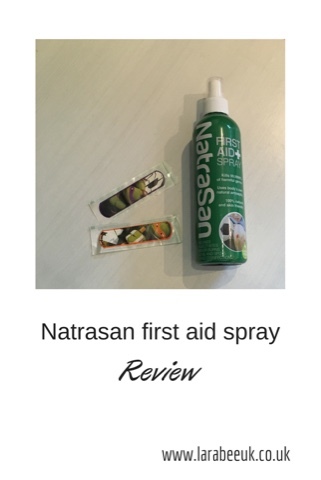 We've now been using this spray for 2 months as our sole antiseptic and have found it to be all we need to use so far. 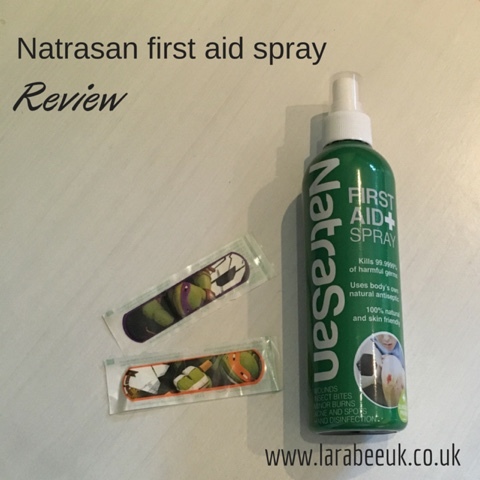 This really is one of my favourite products to use at the moment, it's fantastic and now the most used product in our first aid kit. I've also decanted some into a travel bottle to pop in my handbag, although you can actually buy a travel size on the website. It's anti-sting and non-irritating so perfect for all the family and is fragrance and can be used as a hand sanitizer. What more could you ask for?